We’re proud to announce that we’re now offering CORE Fractional CO2 Laser Resurfacing at Mooresville Dermatology. The CO2 Laser treatment works on all skin types. It reaches both surface and deeper layers of skin at the same time. It treats acne scars, sun damage, age spots, discoloration, wrinkles and fine lines. It’s a complete facial rejuvenation in one treatment! Compared to other similar treatments, CORE Fractional CO2 Laser causes less discomfort during the treatment. It also calls for less downtime afterward. If you schedule a CO2 Laser treatment between now and April, then you’ll receive a complimentary Oxygenetix kit with any CORE treatment! Oxygenetix is formulated by dermatologists to provide an oxygen-rich protective foundation. It will help you keep your social engagements while your skin heals. It’s a long-lasting foundation that even Hollywood makeup artists highly recommend and use on their clients. 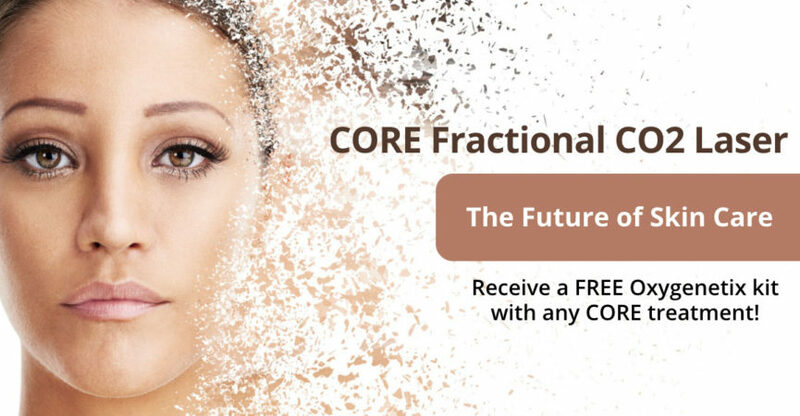 If you’d like to learn more about how CORE Fractional CO2 Laser will support your skincare needs, please give us a call at 704-235-1827 to schedule a consultation today or fill out the form on this page to request an appointment. This offer is available from February-April 2019. Click/use the ‘Request Appointment’ button to request an appointment. We will do our best to get you in - or near - to the appointment time you request. We will contact you back as soon as possible to officially schedule the appointment. Thank you.